NOTEAs you create and adjust your morphing sequences, you will often use the Tool Properties view. 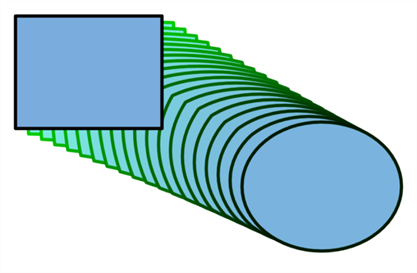 Using this view allows you to do things such as toggle between your key drawings, adjust the easing or select a hint type—see Morphing Tool Properties. 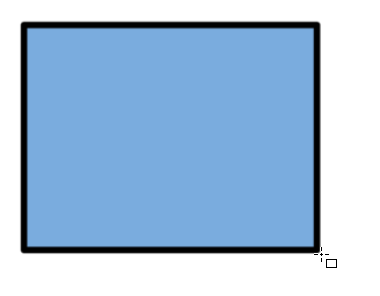 NOTEWhen drawing a rectangle or an ellipsis, you can hold down the Shift key to draw your shape with equal dimensions, so as to make a square or a circle instead. You can also hold down the Alt key to draw the shape from its center rather than from its corner. 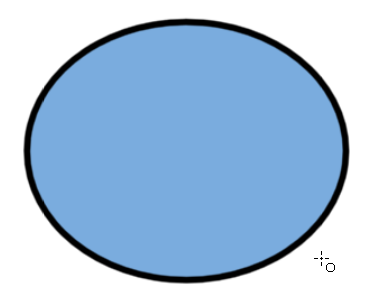 Draw and paint the ellipse with the same outline and fill colours as the rectangle. In the Xsheet or Timeline view, select the range of frames going from your first drawing to your second drawing, including the frames containing the drawings. From the top menu, select Animation > Morphing > Create Morphing. Arrows going from the first key drawing to the second key drawing appear, indicating that computer-generated inbetweens have been created.